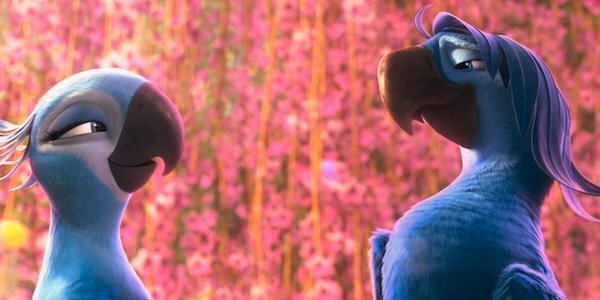 It feels like just yesterday, a pair of animated Blue Macaws named Blu and Jewel swung into theaters worldwide to earn the affection of audiences and critics alike in Blue Sky Studios’ Rio. But now they are ready for more. This spring launches a whole new adventure for the two birds and their equally feathery friends, and I recently watched an extended preview of the film, the details of which I’m excited to share with you. Late last week I took a drive out to the Twentieth Century Fox lot in Los Angeles, where I attended a special press event for Rio 2, guided by director Carlos Saldanha. During the hour-long presentation, I got the chance to watch a great deal of footage from the film and learn all about what we can expect from the sequel, which promises to be a beautiful, music-filled animated experience. So, what can we share? 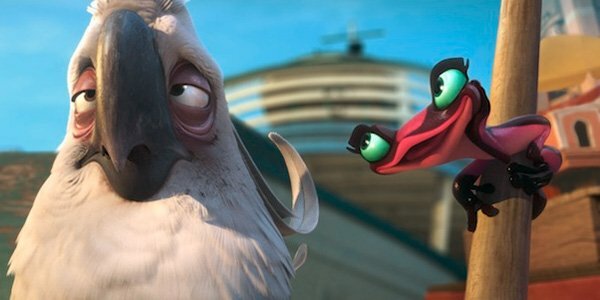 One of the biggest benefits of animation is that no matter how big you create an ensemble, it’s always pretty easy to get them to come back for a sequel, and Carlos Saldanha has managed to do exactly that for Rio 2. Back as the film’s leads and continuing their story from the first movie, Jesse Eisenberg and Anne Hathaway once again star as Blu and Jewel, a pair of married blue macaws who are raising three baby birds together down in Rio de Janeiro. The new plot finds them traveling into the wildness of the Amazon searching for more of their own kind, but they are hardly alone. Leslie Mann and Rodrigo Santoro return to voice Linda and Tulio, the two humans leading the expedition; and George Lopez, Jamie Foxx, and will.i.am have come back as Toco Toucan, Nico and Pedro, friends of Blu and Jewel’s who are not only helping their pals in the jungle, but also looking for a way to break into the music industry by finding a fresh new talent who can play during the city’s big Carnivale celebration. Given the stacked lineup of the first movie, Rio didn’t really need to build its star-power for the sequel, but it has done so anyway, and has added even more Latino/Brazilian flavor as a result. 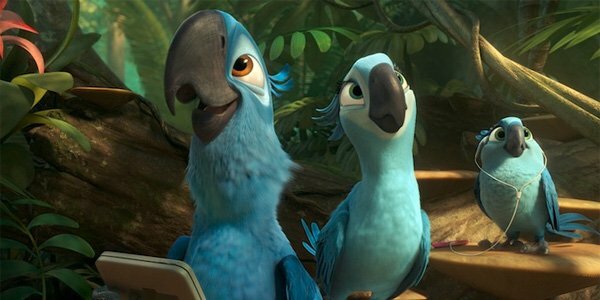 The three biggest additions to the voice cast for Rio 2 are Andy Garcia, West Side Story’s Rita Moreno and Grammy winner Bruno Mars, all of whom star as Blue Macaws who Blu and Jewel meet in the Amazon. These aren’t just random strangers, however: they’re family. Garcia lends his voice to Eduardo, Jewel’s father and Blu’s newly-discovered father-in law, while Moreno plays Mimi, Jewel’s very excitable aunt. Mars’ Roberto is a very musical member of their flock who has a beautiful singing voice (naturally), and seems to have more than a little interest in making Jewel his own. 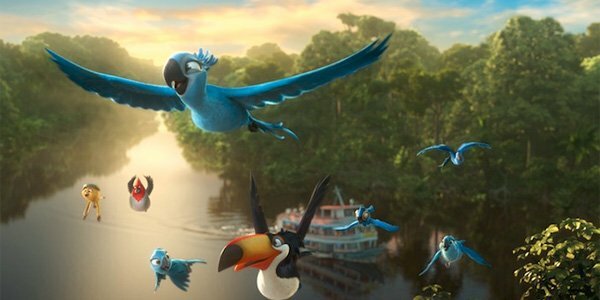 Songs by artists like Carlinhos Brown and Sergio Mendes gave the first Rio a unique essence among animated films that both critics and audiences embraced, and that element will become a trademark of the franchise as the follow-up hits theaters. Both Brown and Mendes are back to lend their musical stylings to the adventure along with some other great new artists. Kicking off the film with a wild, energetic bang is a five-minute long musical intro featuring a big New Year’s celebration on the beaches of Rio and the blasting rhythm of Janelle Monae’s "What Is Love." In addition to being spirited and fun just to listen to the song and watch the wild animation, there are also a funny gag involving Blu’s children and a whole bunch of fireworks (which goes 100% wrong, naturally). Saldanha will also be doing his part to introduce global audiences to the sound of Barbatuques, the Brazilian band famous for creating samba and rap tracks using the beats of body percussion. One of the sequences shown during the presentation featured the group’s new song, "Beautiful Creatures" (which was actually written in Portuguese and then translated to English for the film). Played during a sequence featuring Jewel and her family flying and dancing in the jungle, what made the song use special was that the body percussion rhythms synced with the animation to make it sound like the characters’ wings and stomps were creating the music. The final musical clip that was shown, which also happened to be the only one in 3D, featured a number from Jermaine Clement and Kristin Chenoweth, but unlike the other scenes this one was more directed at making the audience laugh. In the scene, Nigel (disguised by a piece of leaf) enters Toco, Nico and Pedro’s auditions for Carnivale and brings the house down with a personalized rendition of Gloria Gaynor’s "I Will Survive," along with some help from Gabi. As you might glean from the name, the country and culture of Brazil has a massive influence on the production of Rio, and that important connection is only further explored in the sequel… even though the story is actually moving away from the titular city. 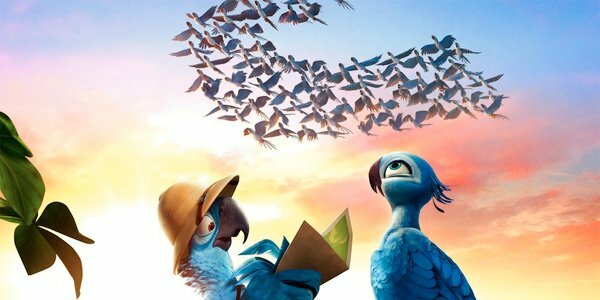 While introducing the various clips from Rio 2, Saldanha explained that he wanted to show a different side of Brazil in the movie, and while the opening number features the country’s famous New Year’s celebration and shots of the Christ The Redeemer statue, most of the plot moves the film away from Rio and into the wild ecosystem of the Amazon, which is filled with all kinds of creatures that you’ll only find in the South American country. Another vital Brazilian cultural element that makes its way into the film is soccer, a.k.a. football. While I can’t divulge too many details about how the sport makes its way into the plot, I will say that it involves the Blue Macaws of the Amazon going up against a rival red flock. There’s a lot on the line… and Blu winds up playing a vital role. Looking beyond all the musical numbers and joke sequences shown during the presentation, it became clear that what Rio 2 will really be about is family, and everything that word really means. Of course, front and center is the relationship between Blu and Jewel as they start their life together with three kids. Even beyond the normal challenges that come with child-rearing, the duo have to deal with the fact that they look at the world from very different perspectives, and it has an effect on the way they think the children should be raised. "The mother, Jewel, is more wild, Blu, the father, is more domesticated, so what’s the best way to raise the children?" Saldanha explained. "That’s the dynamic that we’re going to lean through the movie." But Jewel and Blu both have individual struggles with the concept of family as well – namely when the Amazonian Macaws enter the picture. Jewel has been without her family for most of her life, separated from them during a tragic event in her youth, and reconnecting with them is a big deal. At the same time, she has grown as an individual with her own thoughts and feelings about the world – thoughts and feelings that don’t necessarily mesh with her family’s. Even though he is technically part of the family, Blu enters the situation very much as an outsider. Having been even more sheltered than Jewel, Blu has a great deal to prove to his in-laws, and must show Edwardo that he is good enough to be with his daughter. With Roberto proving to be more musical, more daring, and perhaps a better fit for Jewel, Blu must work to find his place.